Undoubtedly the most important development in higher education in recent years has been the seemingly inexorable expansion of national systems. In a comparatively short time period many countries have moved from an elite to a mass model. Furthermore, expansion has invariably changed the whole experience of higher education for all the interested parties from, presidents, rectors and vice-chancellors to first-term undergraduates. Do higher education institutions retain a national significance, even though the vestiges of an international reputation have long faded? Has expansion undermined the quality of higher education because governments sought to expand "on the cheap"? 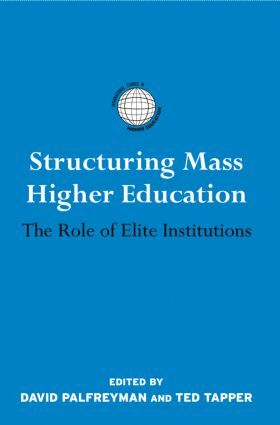 Is the elite institutional response to mass higher education perceived as a threat to be responded to with purposeful action that sustains their elite status? Does the emergence of the international league tables pose a challenge to those responsible for governing elite institutions? These are critical issues with which both policy-makers and institutional leaders will have to grapple over the next ten years, making Structuring Mass Higher Education a timely, relevant, and much needed text. It will appeal to policy makers and practitioners within higher education as well as student and scholars worldwide. Latin American Higher Education: Hope in the Struggle? What is an ‘Elite’ or ‘Leading Global’ University? Conclusion: Converging Systems of Higher Education?